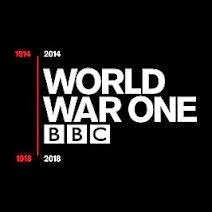 Although this radio programme deals primarily with the execution of German spies during World War I, it does provide some new and useful information that relates to the execution of Josef Jakobs as well. The programme doesn't have a narrator but the bulk of the narration is provided by Sally Dixon-Smith (Collections Curator at the Tower of London) and Kevin Kitcher (Yeoman Warder at the Tower of London). The first interesting tidbit is a note that more people were executed within the Tower of London in the 20th century than under the Tudors (e.g. Henry VII and his many wives). Many people think of the modern Tower as a place for the Crown Jewels and not as a place of execution, so it comes as a shock to realize how many people were executed in the Tower from 1914 to 1941. The programme has a jewel of a clip from Adrian Hill, a World War I veteran. Adrian served as a Corporal with the Honorable Artillery Company from 1914 to 1915. He oversaw a party that guarded German spy Carl Frederick Mueller. Adrian said that Mueller talked quite a bit about his life and after a while Adrian got to know him so well that it seemed a "bit of a nightmare" to him. On the morning of 23 June 1915, Mueller was taken to the miniature rifle range to be executed by a firing squad composed of the Grenadier Guards. After the execution, Adrian's commanding officer said that he looked a bit "green" and could have the day off. From Adrian's account, one gets a hint of how challenging it must have been for the men who guarded the German spies. As an aside, the original Adrian Hill sound clip is held by the Imperial War Museum (Reel 1 - 0:00 to 5:00). Adrian ended up serving in France during World War I as a war artist. After the war, Adrian coined the term "art therapy" recognizing that art could help to heel the psychological wounds that scarred the veterans even more than the physical wounds. The testimony of Adrian Hill is neatly stitched together with observations from Yeoman Warder, Kevin Kitcher, who traced the route the spies would have taken as they proceeded through the Tower to the miniature rifle range and the place of execution. According to Kitcher, the spies stayed overnight at #29 Casemates which was a medical centre during World War I. This last bit of information is in regards to Josef Jakobs. 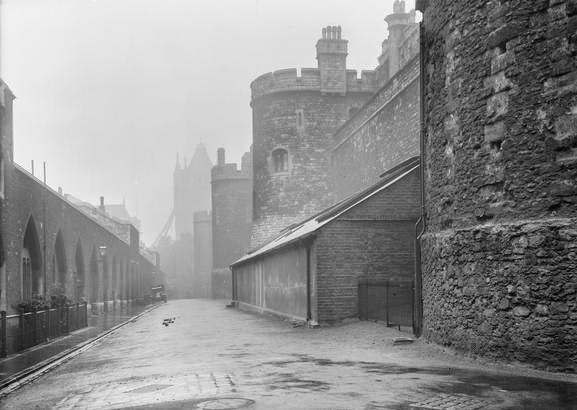 In the early morning hours of August 15, 1941, Josef was brought to the Tower of London from Wandsworth Prison. Josef was held in the "M.I. Waiting Room" after arriving at the Tower before being taken to the miniature rifle range. It is possible that the M.I. Waiting Room is part of #29 Casemates, the old medical centre at the Tower.